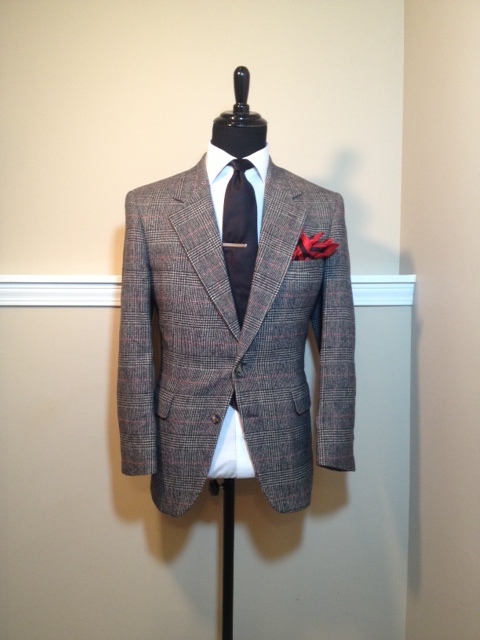 The first item added is an immaculate Camel Hair Glen Plaid sport coat. This piece is made from 100% camel-hair, notch lapels, two-button closure, rear center vent, flap pockets, and full interior lining. 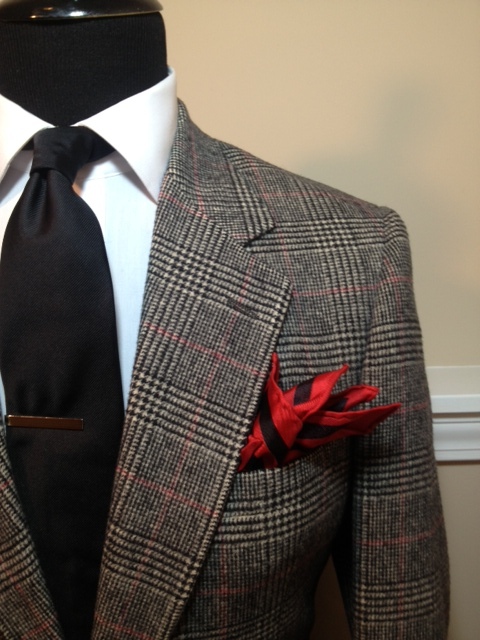 The small touch of red mixed in with the plaid design goes a long way. This piece is priced at $38.50 and there is only one available at a size 40. 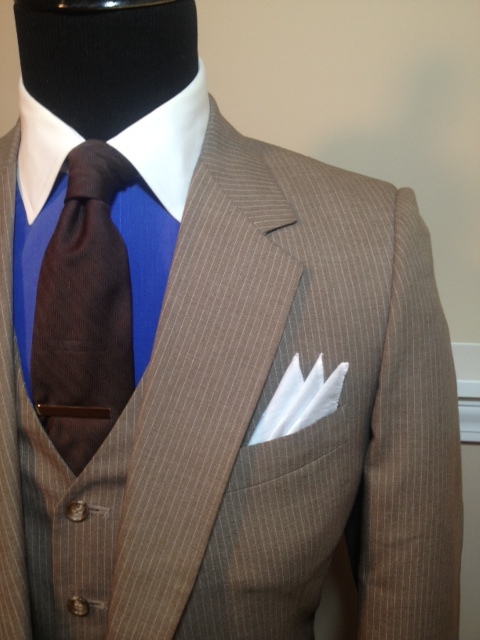 The next item is an immaculate Tan 3-Piece Pinstripe suit. 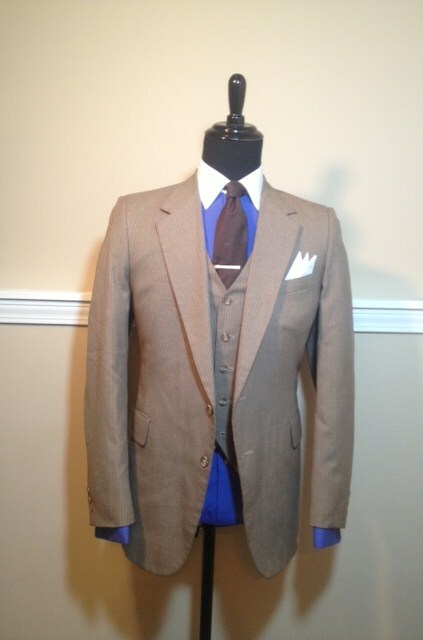 The suit comes with notch lapels, center rear vent, two button closure, and flap pockets. The vest has a 5-button closure and an adjustable rear. The pants are flat front, straight leg through the thigh, and a relax leg opening. 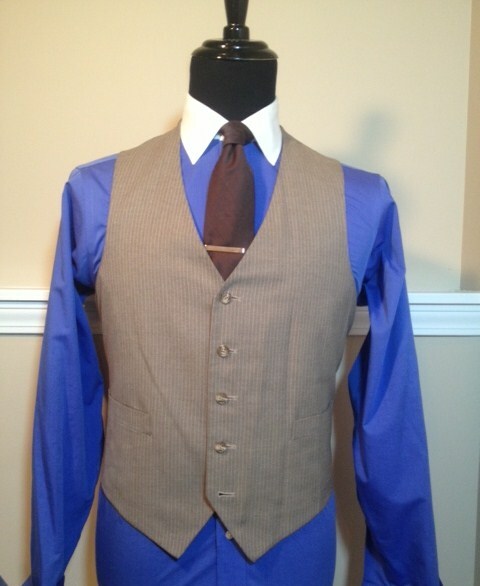 The suit is a size 40 and the trousers are a size 33 x 30 with an extra 3″ in the waist and a 3″ hem. 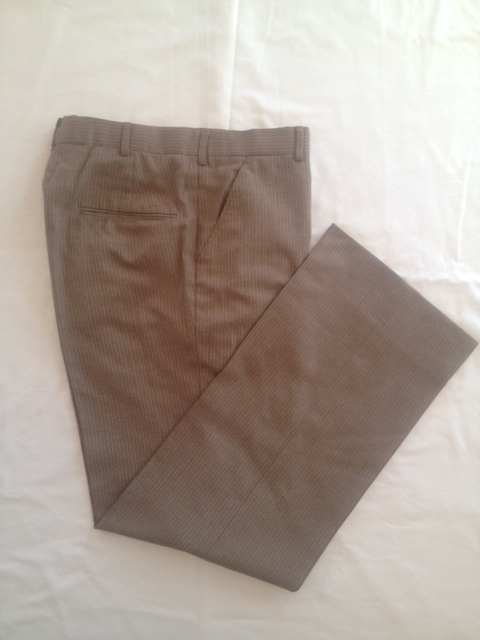 This means that the trousers can be made to fit up to size 36 x 33. The suit is priced at $52.50, which is a steal for a 3-Piece suit. This entry was posted in Uncategorized and tagged 3-Piece pinstripe suit, Anthony Ingram Menswear Boutique, camel-hair glen blazer, Charlotte Style, Mens fashion, mens style, Menswear, Three piece pinstripe suit, Wilbur Dow by wilburdow. Bookmark the permalink.